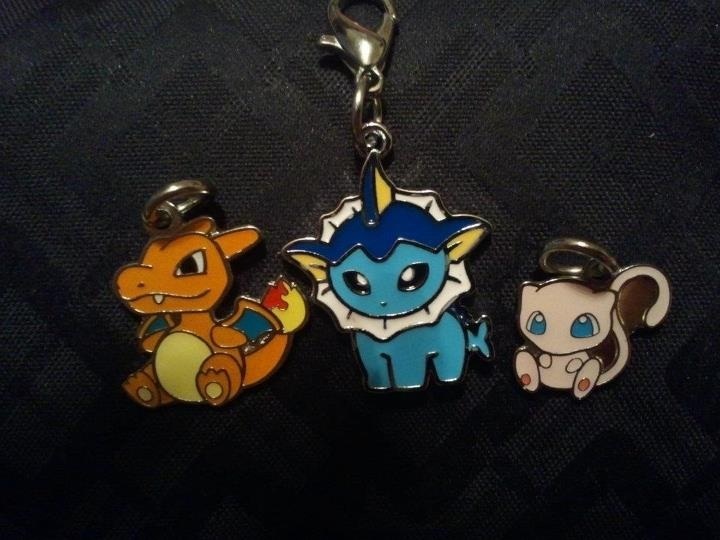 These lovely Eeveelution charms were from vaporeon_07. They are just slightly larger than DX charms and about twice as large as regular charms! 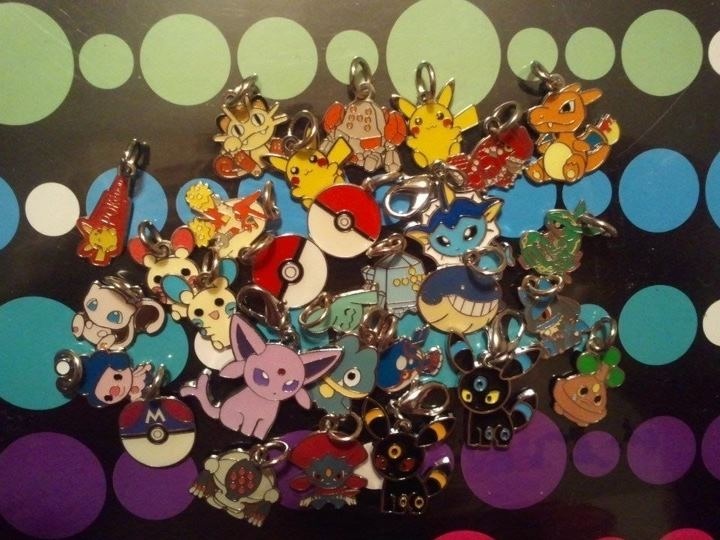 No collection is complete without having a Pokedoll Charm for every official Pokedoll image created! And here they are, mixed in with all of my other charms. See the size difference?